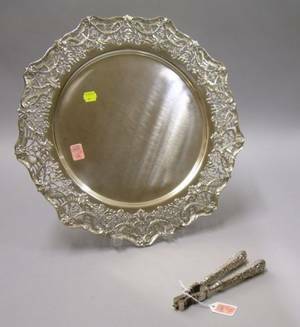 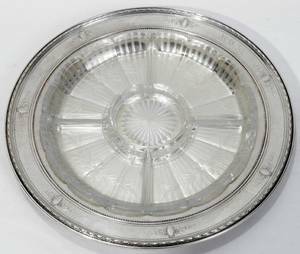 Sterling silver tray, 14 3/4" l. , 22 1/2" w., approx. 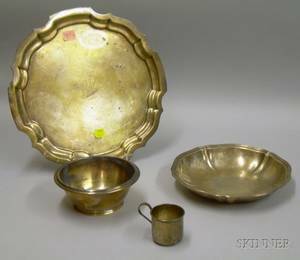 52 troy oz., together with 3 pcs. 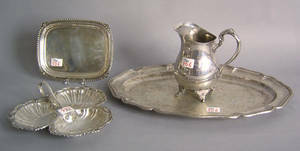 of silver plate. 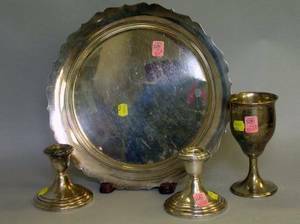 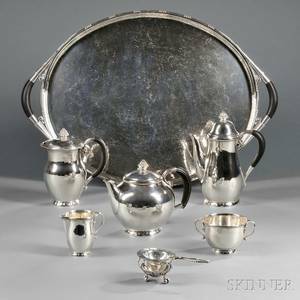 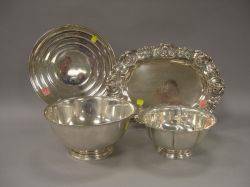 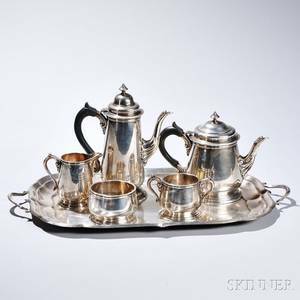 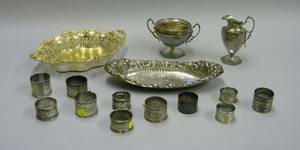 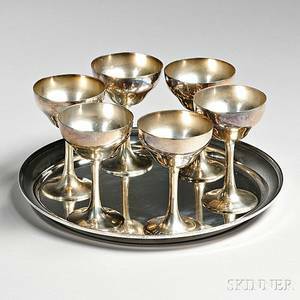 Tiffany & Co. Sterling Silver Goblet a Gorham Sterling Silver Tray and Pair of Sterling Silver Candleholders.